A question mark has been used to indicate "language abuse", that is, a word or words in a clue are used in a technically incorrect way, but the meaning can be still inferred. Example: A indeed (?) could mean to insert A inside deed. 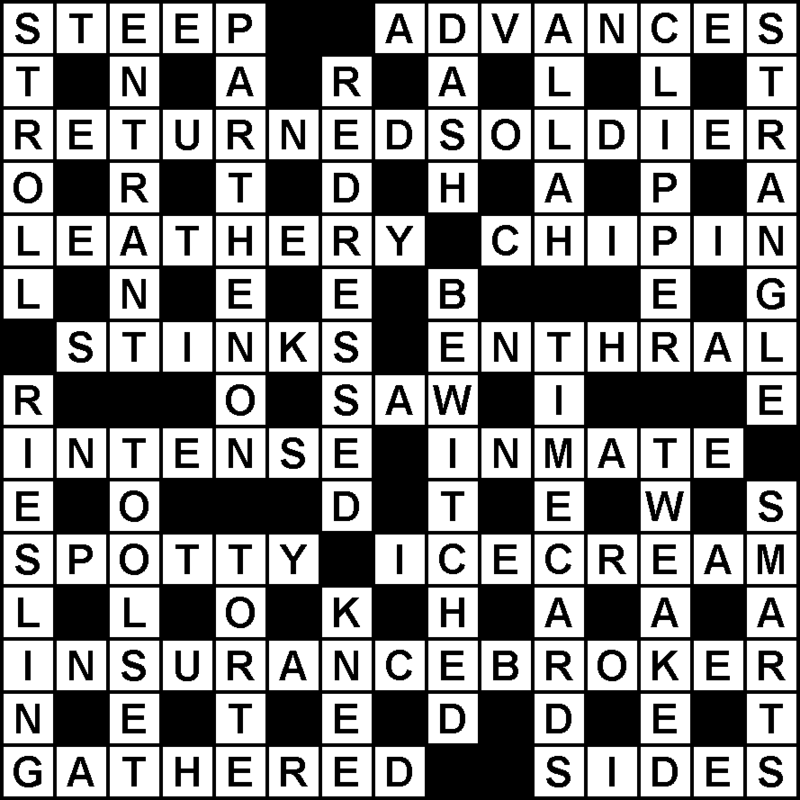 A word or series of words that signify the removal of a letter, letters, word or words (or their equivalents) from other parts of the clue (or their equivalents). Examples: taken from, decreased by, less. A word or phrase that defines the answer. 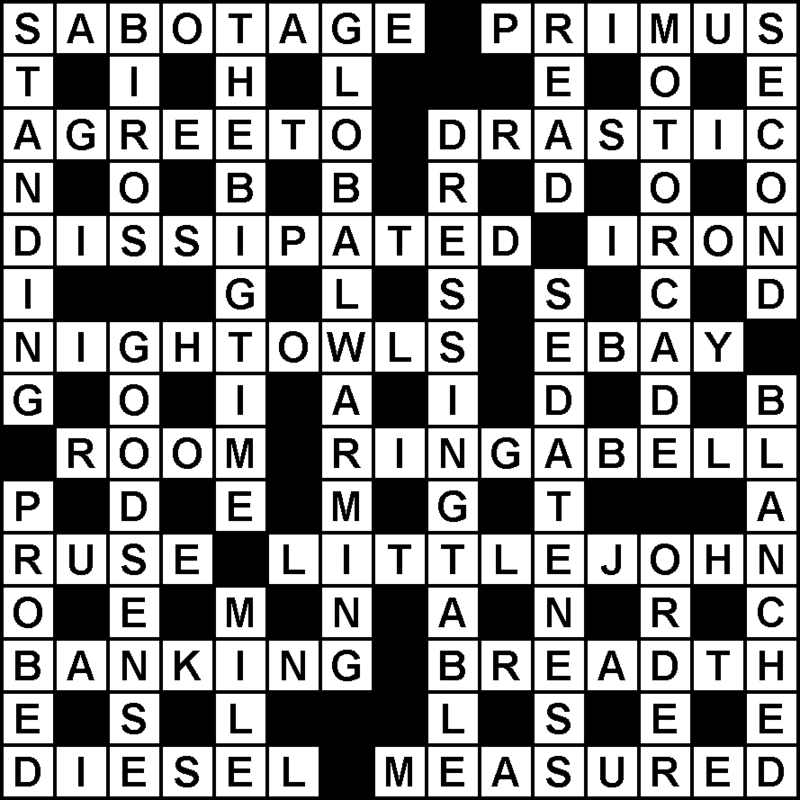 All cryptic clues usually have a minimum of one definition which will be located at the beginning or end of the clue. A word or series of words that signify the turning around (across & down clues), or overturning (down clues only) of letters. Examples: upset, reversed, retired, in withdrawal, over etc. Thanks for your clues for PARTISAN. The last cluing challenge generated a big response, but not so this time. Hard to clue? It looks like people would be happy for me to turn off the comments for a short time after posting, but I’ll wait a few weeks first so others can contribute. The answer is found by using the sound of a word or phrase. Sounds-like indicators point the way. The website stats show a large number of solvers are running at least one crossword behind at the moment. The Stickler Weekly will take a week’s break to allow solvers to catch up. In a sort of related matter, I am concerned that people can be intimidated by how quickly some can solve The Stickler Weekly, and may either give up early or resort to word-solving websites in order the accelerate their solve as a result. 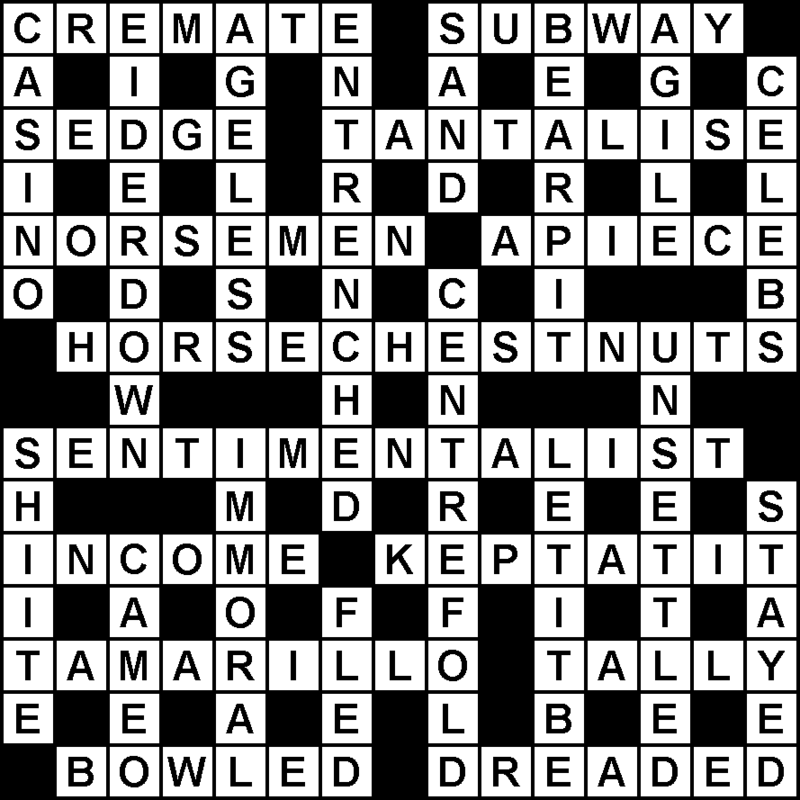 It is a weekly crossword, and while some can finish quickly, the majority take much longer. To alleviate pressure that early comments might cause, I’m considering disabling the comments on The Stickler Weekly posts for 1 or 2 days after publishing. This may have an impact on the number of weekly posts overall, but I think it could be worthwhile. There’s nothing to stop anyone sending me an email about a crossword if necessary. What do you think? Most of you would be aware of my cryptic crossword cluing philosophy regarding definition/wordplay etymological crossover. I try not to have ANY relationship in whole or part between the definition and the wordplay. This style originated in the US and it leads to more pure clues but it does add restrictions to the palette of the setter. To demonstrate how this works, write a clue for PARTISAN without using PART as an element in the wordplay. PART in PARTISAN has the same origin as the lone PART. As there is only one entry in the dictionary, all meanings of PART are taboo, whether noun, verb or adverb. Give it a go as there are many other breakdowns available. The Stickler Weekly 267 and solution to The Stickler Weekly 266 will appear next week.